You guessed it! -or else you wouldn’t be reading this blogpost, haha- I decided to apply Essie’s “Mind Your Mittens” onto my main nails and OPI’s “My Favorite Ornament” on my ring finger and thumb nails, my accents nails! Essie ∙ Mind Your Mittens is a beautiful, dark and vampy Teal shade with a creme finish. It was so easy to work with. Essie’s applicator brushes are wide and curved, making it a dream to work with. I needed 2 very easy coats for my swatch. 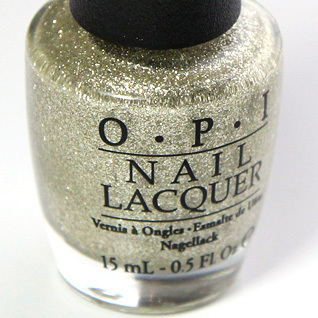 OPI ∙ My Favorite Ornament is a truly gorgeous Light Champagne glitter. 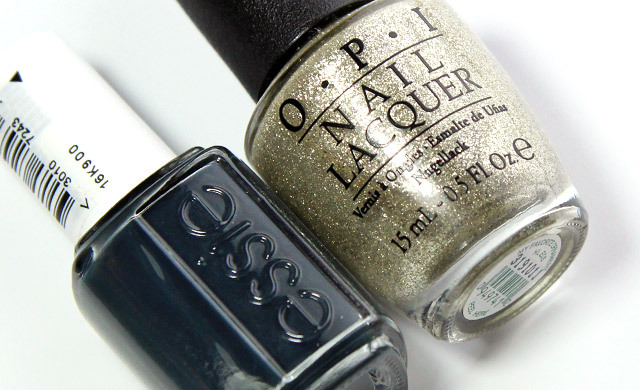 With a frosty, high-shine Champagne base infused with micro Silver sparkles this polish is a party to look at. It was a little on the sheer side so I needed 3-4 coats for my swatch. 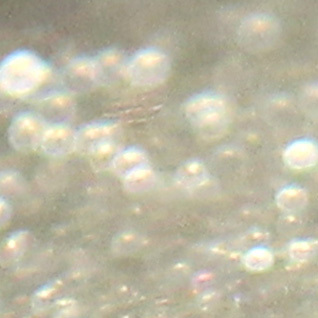 I also suggest applying 2 coats of topcoat since the texture of the polish can feel quite gritty. 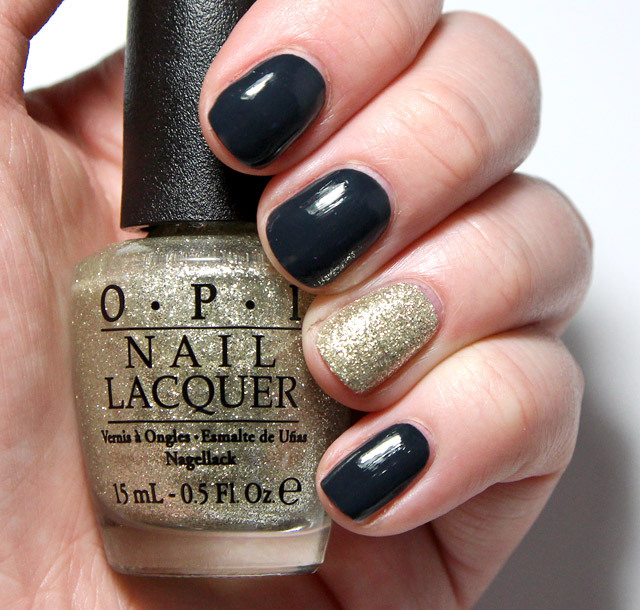 I love the contrast between the dark/creme and the light/glitter. 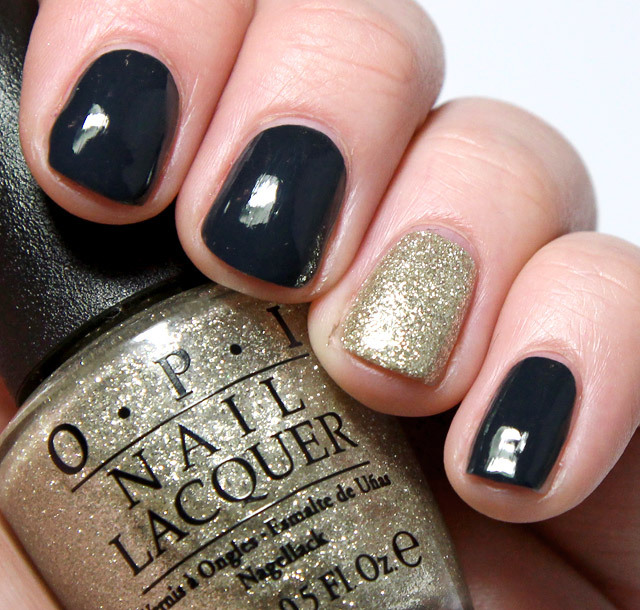 It totally spices a standard mani up. I think this is a nail art technique that will never go out of style, and is perfect for the holidays. Just think of all the creme vs. glitter combos you can make! Do you ever use the accent nail technique? What is your favorite combo to wear? Do share! I have been loving this technique for the last year. I usually wear a plain color with a shimmery accent nail as you do. In the summer it’s also fun to wear to wear to bright colors; the combination of mint green and light pink is great :) I loved reading this blogpost! Ik doe de accentnagel eigenlijk altijd op mijn pink, die is mooi lang.